The Abbott government is hard at work burying the 2013 Defence White Paper as it prepares a new version to be released next year. Because of the way my mind works, I carried a copy of the Labor White Paper with me to the ASPI Submarine Choice conference. Listening to the defence minister  (PDF) while writing the post that went up yesterday , I turned to the shortest chapter in that 2013 policy. Chapter seven, ‘Defence Budget and Finances’, needs only one and a half pages to make the money statements in 17 terse paragraphs. The third and final page of the chapter has only three words—Page Intentionally Blank. 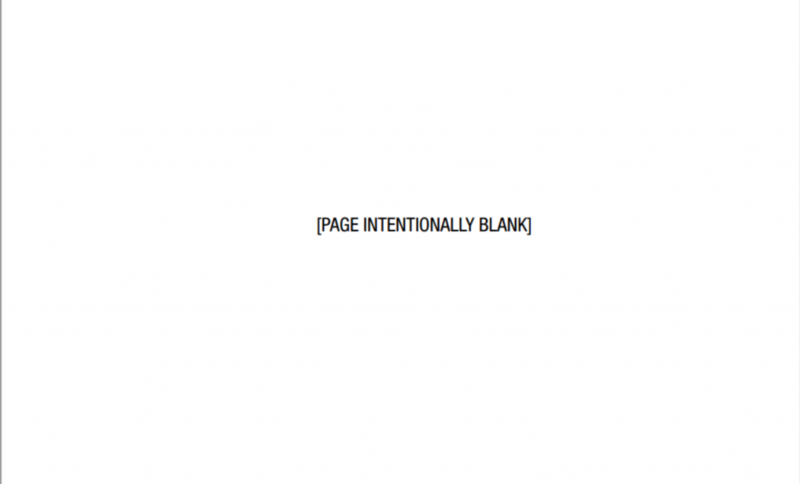 The beauty of the Intentionally Blank page—as joke or Delphic editorial comment—is that it allows the reader to insert almost any punch line. Overhauling the 2013 White Paper to produce a 2015 version, the Abbott government can scribble happily in that blank space. The truth of such policy documents is that however much they change and rearrange, a lot of the old finds its way into the new. And some of the language and mindset of the 2013 Paper will surge into the 2015 replacement. Nearly half of the 17 paragraphs in Labor’s budget chapter are devoted to how tough the task is: ‘fiscal discipline’ crops up a couple of times, along with phrases like ‘the sustainability of the budget’, ‘complex choices’, and ‘achieving greater efficiency and effectiveness’. This is the language of budget pain and hard choices which is building in volume and intensity towards Canberra’s annual budget crescendo on 13 May. In discussing the politics of submarines (and, thus, the politics of defence spending) Australia hasn’t yet seen the identity of the Abbott government. We’ve been taking our entertainment and making premature judgements during the phony war. Next month, the real stuff starts; the bell sounds and the true fight begins. The first budget is when choices are announced , policies set and priorities picked in all their polarising glory. In warming up for the heavy lifting, the defence minister’s speech—announcing the decision to ‘re-examine’ the number of subs—was described on The Strategist  as the government’s first big defence announcement. The ‘re-examine’ pledge implies an answer that says six new subs, not 12; halving the number takes 40% out of the budget estimates, freeing up a big chunk of defence cash if 12 subs would have cost $40–50 billion. Halving the number of subs in the shift from the 2013 to the 2015 white paper helps with a political and budget must—get a shopping list of defence kit which goes close to matching the cash on offer in the budget forward estimates. As Canberra’s annual May moment of fiscal theatre always makes manifest, the forward estimates reign and will always drive and define the politics. Mentioning a political/budget imperative requires a reference to Mark Thomson’s wonderful post  and accompanying essay  (PDF) on the three musts of the submarine question: there must be a Collins replacement, it must be built in South Australia and it must have conventional (not nuclear) propulsion. Other political musts feed into Mark’s model. The Abbott government was at the wheel when Australia gave up local car manufacturing; this isn’t going to be the government that also gives up local ship building. For years now, we’ve been saying that work on the future generation of submarines would centre on the South Australian shipyards. So I want to make that crystal clear, just as we said before the election, so we will do after the election, we will ensure that work on the future submarines centres on the South Australian shipyards. Defence budgets are torn by myriad forces, not least the tyranny of forward estimates, ever at war with the political musts. Graeme Dobell is the ASPI journalism fellow. Image courtesy of Department of Defence .